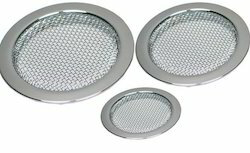 We are one of the leading Manufacturer and Exporter of Filter Disc & Disc Filter. Our product range also comprises of Wire Mesh, Industrial Screen. It is widely used as filter for oil, suction line strainer, extruder screen and pressure line filter. It is available in various sizes and shapes for meeting with the demands of the valued customers. We are a trusted name in the industry for manufacturing and exporting Filter Disc, which is extensively used as oil and fuel filter, suction line strainer, extruder screen and pressure line filter. It is available in various sizes and shapes for meeting with the demands of the customers. Our range of filter disc is wide, owing to our sophisticated manufacturing facility and diligent group of professionals. 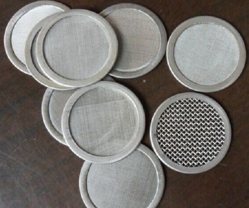 We are a trusted name in the industry for manufacturing and exporting Metal Filter Disc, which are used extensively in industries including grain oil, chemical and plastic for filtration. The products are available in a variety of mesh sized and are dimensionally accurate. They are non reactant to acids and alkalis, owing to their inert nature and use of high grade material in their manufacture.